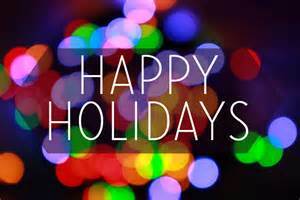 Wishing you all a happy and joyful holiday, whichever holiday you are celebrating! May your heart overflow with joy! Maximus and i are spending a quiet Christmas day together. We slept in, Maximus actually slept longer than i did, which is something He needed, and we’ve had a lovely morning together. Several weeks ago we decided to forgo exchanging presents this Christmas, as we have given each other so much this year already. The day is to be spent together, doing things we enjoy, and reveling in our love for each other. i made breakfast, a yummy Pumpkin French Toast Casserole, figured out where to put the camera tripod up for the annual family photo at tomorrow’s family Christmas celebration here at the new house, took a bath together, will go to see a movie at our favorite theater, have a training session, and Maximus has plans for some sexual playtime! A perfect day! Tomorrow chaos will ensue! Just kidding, Maximus’ kids and grandkids will be here tomorrow for gifts and dinner, and we are so excited! It’s the first Christmas in our new house and one of His daughters and her family haven’t been here yet, so we are excited to share that with them. i’ve decorated our table, with all the leaves in it, as we finally have a dining room with space for it, and we have a kids table set up as well. It will be a first for us to all sit down and eat together rather than cramming together on the couch and in any space we can find to eat. So, wishing you all a lovely day as well. Love to all!